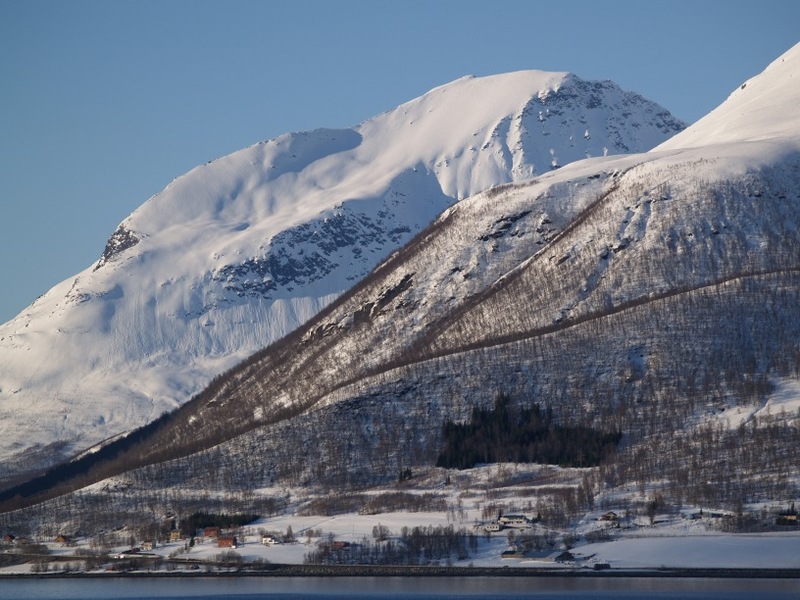 The South face of Smalaktinden as seen from Balsfjorden. 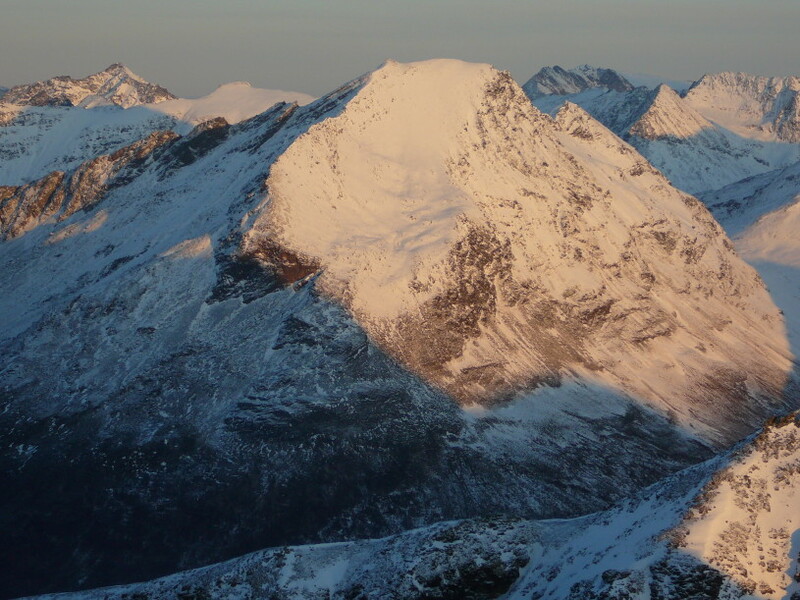 The West ridge, on the left hand skyline, was climbed by Geir Jenssen and Richard Sørli, 14. July 1997. Start where Smalakelva reaches E6 in Lavangsdalen. Easy scrambling. Beware of the flies! 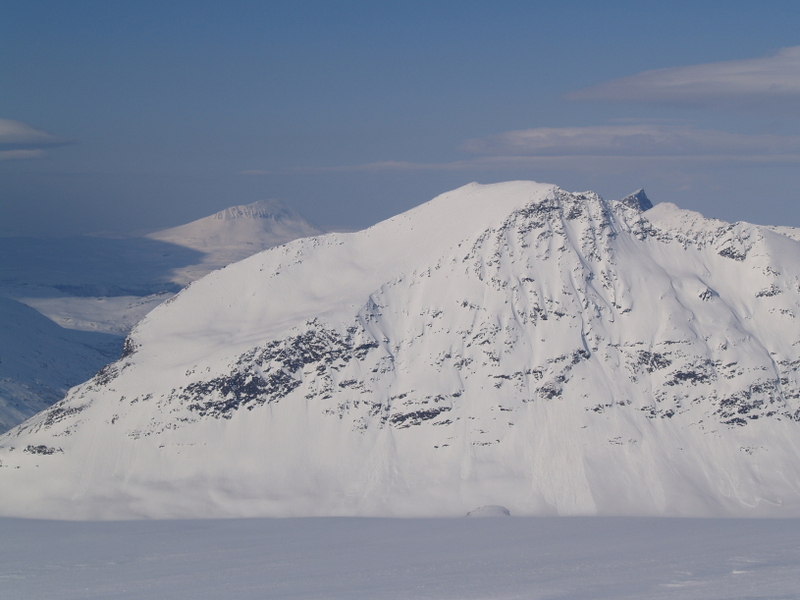 The South face of Smalaktinden as seen from Blåtinden. Tromsdaltinden in the distance. 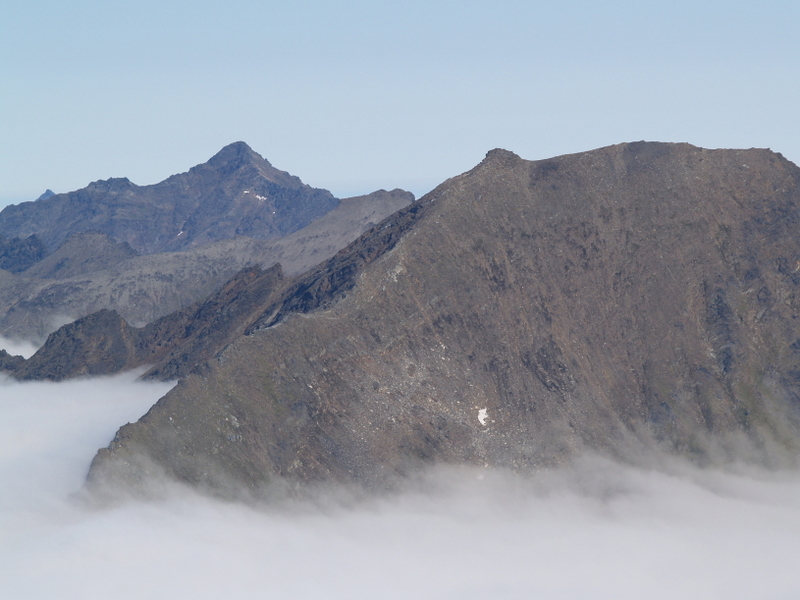 The West ridge rises above the clouds. Photo taken from Andersdaltinden.